Best Splitting Axe Reviews (2016 Update) – Our Top Picks and Reviews! Home » Reviews » Best Splitting Axe 2018 – Our Top Picks and Reviews! Best Splitting Axe 2018 – Our Top Picks and Reviews! Come to think of it, which is the best axe for splitting wood? Yes, any axe that you will find on the market is meant to split or cut wood but, just like anything else, some axes are better than others. That leads us to our next question. What should you look for when buying an axe? The truth is you have to be well acquainted with be basics of purchasing an axe if you’re to end up with a unit that meets your splitting needs. I know that makes choosing the best splitting axe 2016 sound like such a hectic endeavor. Not to worry, the essence of starting this website is to not only let you know which the best axes on the market are but also to help you choose the axe that is in line with your needs. Here you will find comprehensive, unbiased splitting axe reviews and we will even throw in a buyer’s guide. That way, we will help you spend your money from a point of information. Without much ado, let’s embark on the process of unveiling the best wood chopping axe. What Will You Do With the Axe? How Heavy is the Axe? Fiskars X27 Super Splitting Axe, 36"
This is an ideal axe for lumberjacks, thanks to its sturdy construction. The Fiskars X27 Super Splitting Axe provides an incredible amount of power for splitting medium to extra large logs. The X27 combines a host of well-thought-out features from weight distribution to professional blade geometry and an extra sharp cutting edge for a remarkable splitting power. The Fiskars X27 has the longest handle in its series of axes to ensure that each stroke disperses wood efficiently and with maximum power. As such it is the best splitting axe for tall people because the handle reduces both the energy output and strain. The X 27 has a Duraframe body, which means that it is designed to take heavy duty splitting tasks without breaking. The most outstanding feature of this axe, however, is its axe head. 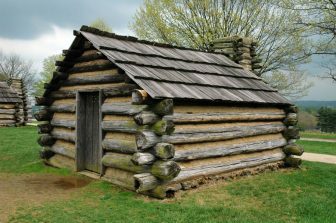 It is fixed right into the frame and is designed to split wood easily, primarily due to the superior convex slanting grind. If you’re looking for an axe that promises durability, has a long handle and most importantly stands the test of time, the Fiskars X27 is the right choice for you. Hailed as the ultimate wood splitting axe, the Fiskars X15 Chopping Axe is designed to give you optimum power with every stroke. 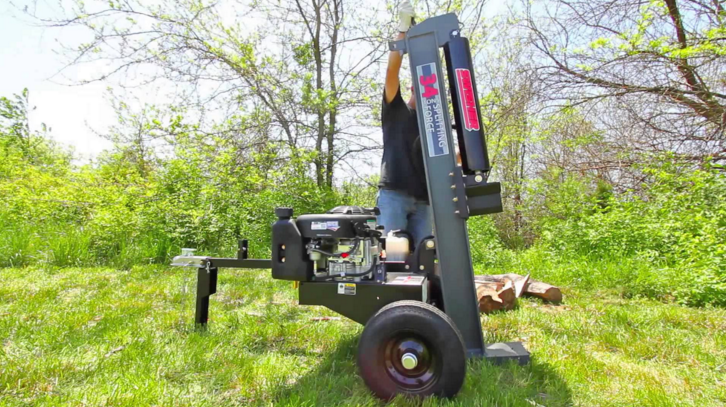 With an all-purpose design, this unit can handle heavy duty to simple tasks such as splitting large logs or felling small trees. Just like other axes in the X-Series, this unit comes with a combination of features that allow the blade to bite deeper when chopping. In essence, the blade’s design allows a more in-depth blade penetration with every swing so you can cut more wood fast, with less effort and hand strain. 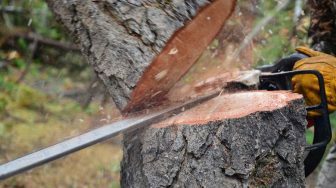 The best axe for splitting wood has to offer durability which by extension translates to value for money. To give you years of use, the Fiskars X15 Chopping Axe has a Shock-absorbing FiberComp handle that is lightweight but sturdier than steel to prevent overstrike damage. With this axe, you don’t have to worry about the loosening axe head, thanks to the insert-molded design that locks the blade into place. Fiskars have attached a lifetime warranty of this axe, further cementing the position that its build to outlast any of your splitting needs. Made by a company that has been in the business of making axes for more than a century, the Gransfors Bruks Splitting Maul is possibly the best splitting maul in the market. It is hand forged, has a minimally finished head that is individually stamped with the smith’s initials. The handle features an exclusive embossed Ray Mears logo. 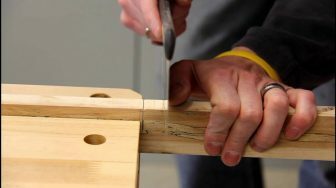 Such is the precision that goes into making the Gransfors Bruks Splitting Maul. Even though this maul is designed to handle simple wood splitting tasks, it can also be the ideal choice if you have large chunks of wood. The steel collar situated below the head reduces the amount of force need to split wood while the hickory handle with circular grooves offers a better grip to prevent hand strain. The Gransfors Bruks Splitting Maul also comes with a protective leather sheath to make sure that the head is stored securely when you’re not using it. To cap it all, the Gransfors Bruks has a 20-year guarantee, which by extension translates to value for money. Another premium product from Gransfors Bruks, this axe is not only an excellent multipurpose tool for splitting wood outdoors but also happens to be arguably one most popular axes in the world. As a matter of fact, the Gransfors Bruks, Small Forest Axe is the best selling model from the revered Gransfors axes. Every feature of this unit makes it perfectly fit in the best splitting maul, from the ease of use to superb quality and reliability. The Gransfors Bruks, Small Forest Axe sports a large head and longer handle compared to other mauls in its class and thus offers more chopping power. It is the tool to go for if you want to chop small to medium sized logs. The length of the handle means that you can use the Gransfors Bruks with one hand for small jobs and two hands for bigger jobs. Its package includes a vegetable tanned leather sheath to protect the axe head and a copy of Gransfors Bruks Axe Book to help you get the most out of using this tool. Just like the Gransfors Bruks Splitting Maul, this unit also as a 20-year guarantee. Sporting a rugged designed, the Fiskars Garden Iso Core 8 lb Maul, 36″ is a powerful tool that makes undertaking heavy-duty splitting jobs easy while minimizing joint pain and muscle fatigue. The axe head is made of premium steel that in forged in a concave shape to give this maul optimum splitting ability which also ensures that get the most out of every swing. It also features the patented IsoCore Shock Control System to absorb strike shock and vibration thereby minimizing the hand strain when you make a swing. 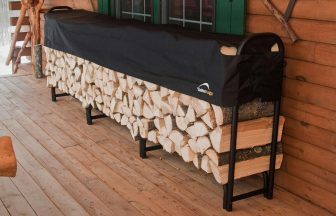 The dual-layer handle also reduces the vibration that occurs while chopping wood. To optimize the efficiency, the Fiskars Garden Iso Core 8 lb Maul, 36” is fitted with a performance handle that fits into your hand securely and comfortably thus allowing you to make a more precise strike while reducing blisters. In fact, this handle’s design has been tested as per the U.S standards for ensuring tool durability even in the toughest work environments. As stated, your quest for the best splitting axe starts with knowing what to look for in an axe. What features should an axe have? Are there special considerations to make irrespective of the type of axe or maul you choose to buy? To help you purchase the best possible axe based on your needs here is a checklist of the most important points to consider. This consideration almost goes without saying. The tasks for which you will be using the axe determine the type to buy. If you are using the tool to chop small pieces of wood, you may consider purchasing an axe that has a small head. However, if you will be splitting relatively large pieces of wood or logs, a splitting maul would be your best choice. Buying an axe that is in line with your needs not only guarantees efficiency but also ensures that you get the most out of your tool. Because you will be making many strikes, you have to consider the weight of the axe before buying. You certainly don’t want purchase a tool that is too heavy since it will compromise your ability to chop large chunks of wood without tiring. Also, a very light axe may translate into making too many strikes before you can get the task at hand accomplished. Be sure to choose an axe whose weight is moderate, so that you can lift the head without using much effort. Remember, your tool’s weight also determines the accuracy at which you make the swings. Choose a wood chopping axe whose handle will allow you more control. 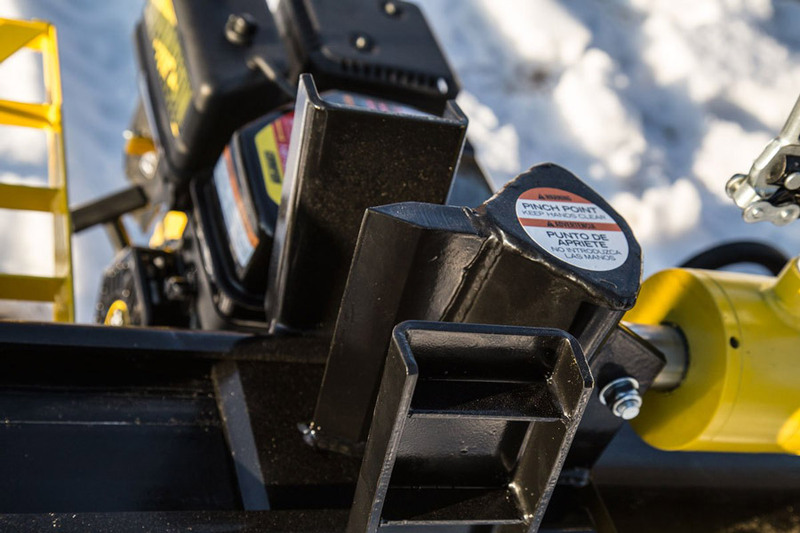 A longer handle will give you a better mechanical advantage and by extension more power. A shorter handle, on the other hand, will be easier to control. If you are not sure how long the handle should be, practice your swing in an open space using another axe with a similar head and weight. In case you’re having trouble hitting the target, or are getting tired too easily, you’re better off with an axe that has a shorter handle. lso, the axe head should not shake or wobble on the shaft. It should remain firmly in place irrespective of whether the axe has a synthetic or traditional wood. An axe head that is wobbling means that the handle is more prone to breaking. The profile of an axe is one of the determinants of whether it will be good at cutting or splitting wood. How? A cutting profile is thinner than a splitting profile. 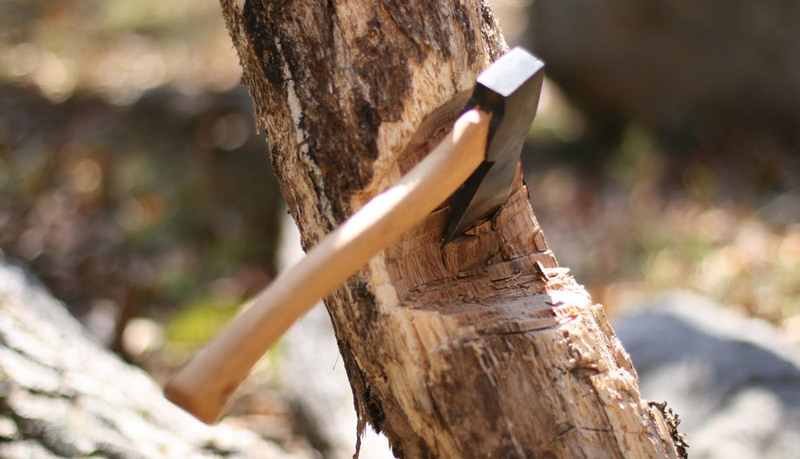 So when looking for the best splitting axe, be sure to check its profile to make sure it is wedge-shaped. Remember, the axe is meant to split across the grain and not to cutting across them. Most axes will have either synthetic or wooden handles. Wood handles are good shock absorbers and can be easily replaced. They are also easy to maintain not to mention that the give the axe its traditional look. If you’re going to choose an axe with a wooden handle, make sure that the grains run vertically down the length of the handle. Metal handles are durable but not very good at absorbing shock. However, they are the best for small axes. They can also make the axe relatively heavy, so if you’re to choose this type of handle consider hollow bars. A stainless steel metal bar would be the best option. When it comes to splitting axes, you have a lot of options. Nonetheless, not every option may prove to be the best. You will have to know what to expect with the axe to determine if it will be adequate for your needs. But, you may not have access to splitting axe reviews that will give you the most important aspects of the tool you’re about to buy. As such, most people end up buying blindly, with no valuable information on what the tool of their choice has to offer. If you’re looking for a splitting axe that will meet your needs and perhaps exceed them, the information provided in this review will set you on the right path. That way, you will not second guess on your purchase, and most importantly you will get a tool that is worth your money. The axes suggested here are highly rated by users both on the official manufacturer’s websites and on online stores such as Amazon. Trust me when I say they will save you money in the long run, after all, exchanging your money for a long lasting and a useful axe is what you want. 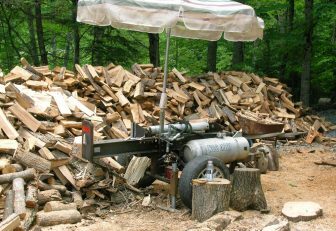 Considering Buying a Swisher Log Splitter? Read This Article First!